This is not your typical, big crowd, bus type of trip. 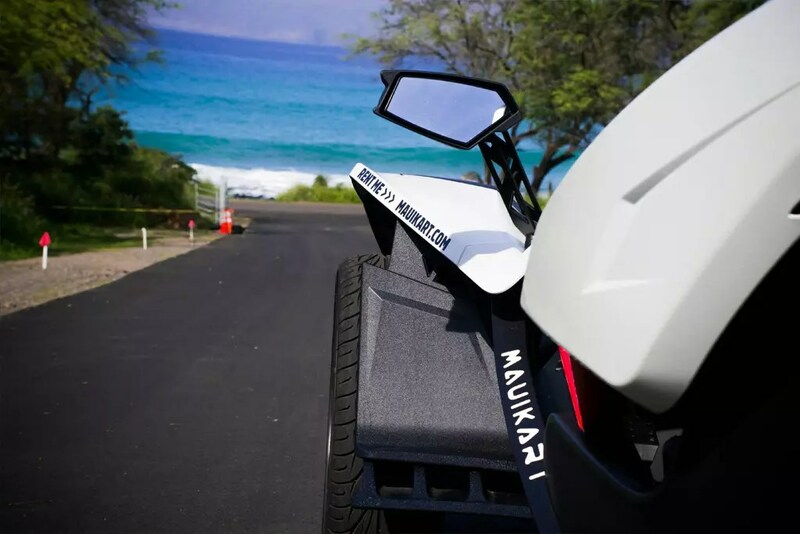 Experience Maui just few inches of the ground like you own it, taste the breeze of adventure, ride the excitement and feel the attention. You choose where and what you want to see, or take a guided tour and enjoy the adventure with our own chauffeur. Our 3-wheel Karts don't have a heater or an air conditioner. Any thought of staying dry in inclement weather is foolish. The autocycle is loud, and every twist, turn or bump is heartily felt. It's all part of the experience -- if you like that sort of thing. Smile, don't expect to drive the Kart without attracting attention. It's a conversation piece on wheels, an extrovert's nirvana. With the kart's low sitting, open air frame, you are sure to have an unforgettable experience. 5. Passengers must be at least 4' 9" or weigh more than 40lbs. 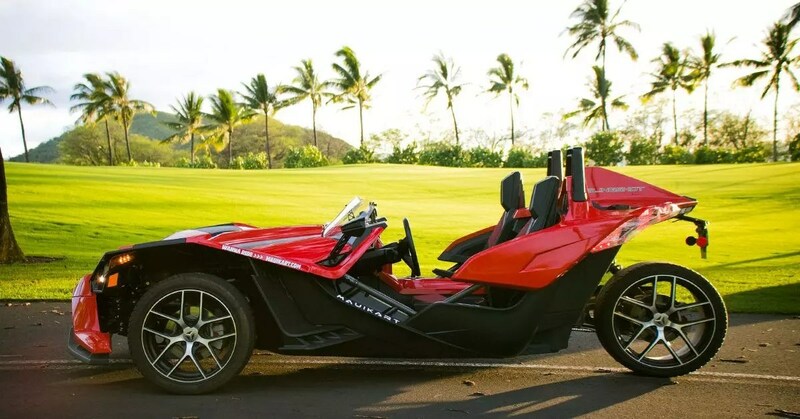 Hawaii are currently the one of few states states that classifies the 3-wheel Kart as a “tri-mobile” vehicle, meaning a motorcycle license and helmet is NOT required. All you need is a regular car license to drive our Kart. 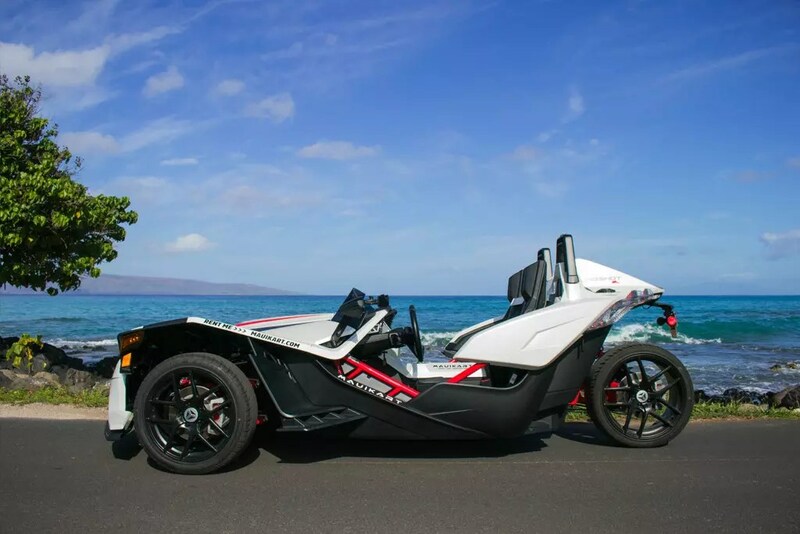 Maui Kart is a rental and tour company, located in the most beautiful Hawaiian island of Maui. We are here to bring you an unique unforgettable time and experience. 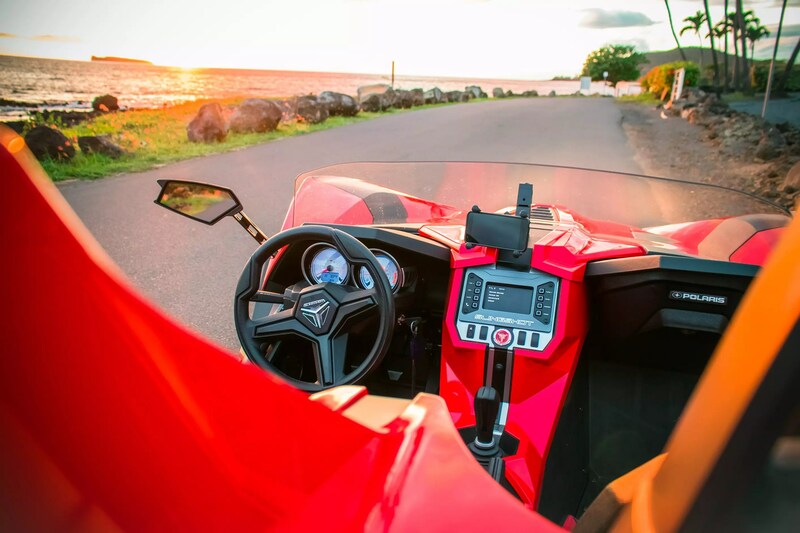 Explore your adventures on Maui, take a trip on one of our Karts a 2-seat, 3-wheel wonder. It's classified as a motorcycle/autocycle, but it's not, we simply call it street legal 3-wheel Kart. 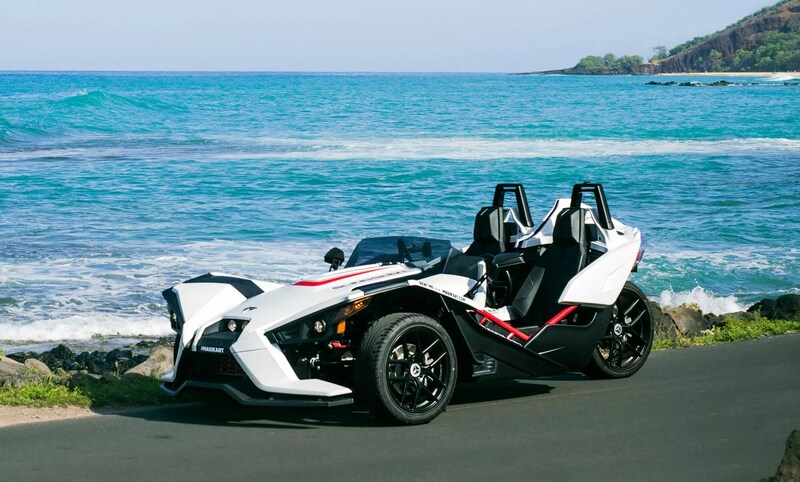 It's a 4-cylinder, 5-speed trike with 176 horsepower. 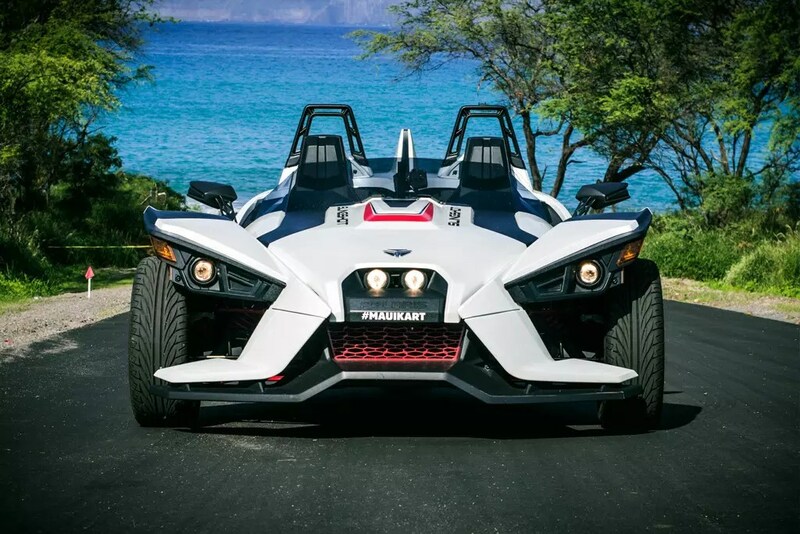 It casts a unique design on the road that promises to excite!